An excerpt from my seminar at the annual Evangelical Ministry Assembly in London. NB, this was to encourage people with an existing strong foundation of biblical exegesis to go further with their preaching training. It is not intended to suggest a replacement for the crucial task of training in Bible knowledge and Bible preaching. I find it so much easier to prioritise skills and activities in Christian leadership than to deliberately work at my heart. To watch doctrine more closely than life. For those of us who train others it is similarly easy to allow activity and skill to outweigh concentration on life and heart because it is easier to measure. 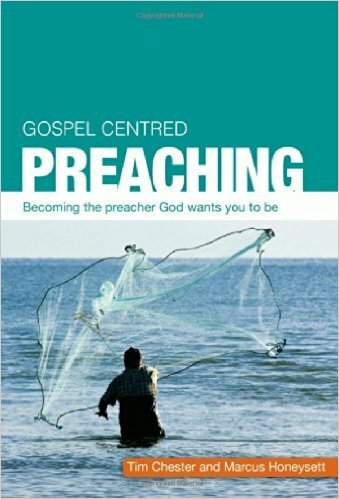 We think it is much easier to teach someone to preach Isaiah than how to be a preacher who exemplifies humility and a spirit of forgiveness. For the first years I ran preaching trainings they were almost exclusively dedicated to expository accuracy and skill. Because that is the result we want to produce, right? Accurate word handling is, of course, absolutely crucial. But with the eyes of hindsight I am shocked at what we didn’t teach our preachers. What we simply assumed. These days whenever I am training preachers and leaders we begin everything with how to live in the love of God, how to receive his grace, the importance of humble character and servanthood. These foundations subsequently undergird everything else we teach, all the way through, like letters running through a stick of rock. We want to train people to be preachers who are full of the Galatians 5 fruit of the Spirit, who radiate love. You might think “well can you train in that?” Yes, you can because 2 Tim 3:16 says the word trains us in righteousness and Titus 2:12 says that grace teaches us to say “no” to all ungodliness. Here is the heart of the problem: we had taken a great means of grace and a critical support for life and faith and the crucial tool of our ministry – Bible understanding – and had turned it into the end, rather than the means to the end. We told ourselves we were mature Christians because we were educated rather than because we delighted ourselves in the Lord. We turned our devotions into comprehension exercises. We thought we were good preachers because of knowledge and technique. Lack of knowledge and technique do not a good preacher make. However, knowledge and technique alone do not a good preacher make because they tempt us to do ministry in our own strength. When God says “not by might, nor by power, but by my Spirit.” We had stepped out of a God-centred spirituality into a man-centred one. When you train yourself and others to preach, can I ask whether you spend more time on your skills or on your love? 2 Peter 1 says that if we are growing in godly character this prevents us from being ineffective and unproductive in your knowledge of the Lord Jesus Christ. All preachers note well: we can have knowledge of God that is true but is ineffective and unproductive if we are not growing in Spirit-filled character.